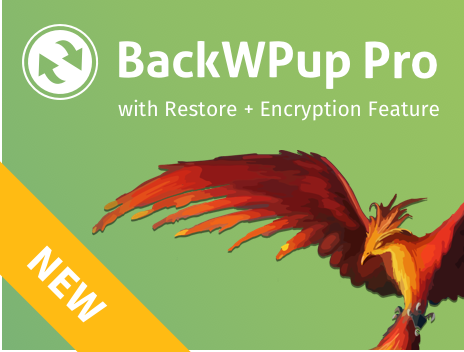 Home»Blog»Make BackWPup»Become a BackWPup 3.4.0 Beta Tester! We are looking for BackWPup beta testers! We need you to make our new release as bug-free as possible! Want to know what kind of changes you can expect in the Beta version? Then take a look at our blog post on inpsyde.com. You can read the whole article there. Or click here to become a BackWPup 3.4.0 beta tester now! Found a bug? Have an idea to improve this release? Then send an e-mail to: betatest@backwpup.com. Would you like to be notified when new beta releases of BackWPup are available? Simply subscribe to our beta mailing list. When you find a bug, simply reply to our e-mail and give us your feedback. Thanks for helping out!